When Nawaz Sharif starts his new term as Pakistan’s prime minister on Wednesday, 14 years after he was ousted in a military coup, he will focus on turning on the lights in a nuclear-armed nation that has been increasingly starved of electricity. Power outages of 12 to 20 hours a day have crippled industry and made life miserable for households, a problem that worsened under the previous government of the Pakistan Peoples Party. Electricity shortages cost Pakistan some $13.5 billion a year, equivalent to knocking 1.5 percentage points off the economic-growth rate, Lahore’s Beaconhouse National University said in a report this year. After Mr. Sharif is sworn in, he will deliver a speech outlining his strategy for solving the electricity emergency through wide-ranging intervention, bond sales and privatizations, aides said. The financing of the electricity rescue plan would be laid out in the budget to be announced next week by incoming Finance Minister Ishaq Dar, they said. The new administration plans to pay off what it says is $5 billion in debt that has paralyzed the industry, build new power plants and privatize the sector in a multibillion-dollar overhaul that could attract foreign investor interest, the aides said. The challenges are great. The previous government poured billions into the sector without eliminating the debt or significantly increasing the supply of electricity. The industry is riddled with corruption and depends on expensive oil for power generation, instead of cheaper gas or coal. The most pressing issue is the chain of so-called circular debt that runs through the sector: The government keeps the price of electricity to the consumer below the cost of production, but can’t afford to make up the shortfall. It means that oil importers are owed money by power plants, which are owed money by distribution companies, which in turn are owed money by consumers. Although the incoming government has given the level of this debt at $5 billion, a government think tank, the Planning Commission, issued a report in March this year placing it at $9 billion at the end of 2012. The new administration would borrow the money from banks and also take on the debts owed to the banks by various energy companies and government-owned entities, Mr. Ismail said. Then the government would plan to tap domestic and international bond markets. A domestic bond issue picked up by local banks would be the most likely scenario, said Ashraf Bava, chief executive of Nael Capital, a brokerage in Karachi. Pakistan would need to improve its credit rating and balance of payments before approaching international capital markets, he said. Pakistan, a country of 180 million people, is currently producing some 11,000 megawatts of power, though that dropped last month to less than 9,000 megawatts, compared with demand of at least 17,000 megawatts. By comparison, installed generation capacity in Indonesia, a country of 240 million people, is 41,000 megawatts, according to a 2012 report from PricewaterhouseCoopers. After paying off the debt, the new government plans to pursue a three-pronged strategy, the aides say. The government would aim to cut line losses and electricity theft, shift power plants from oil to coal, and eliminate subsidies to consumers. Pakistan currently charges consumers around 9 cents per kilowatt-hour for electricity that costs 12 to 14 cents to produce. Those who use minimal amounts of electricity would continue to get power cheaply, a cost that would be borne by the full fare paid by heavier users—including the middle classes, who form Mr. Sharif’s core constituency, as well as Pakistan’s elite. But if the plan works, Mr. Sharif’s aides said, the cost of power production and prices would come down again. “There’s no reason why we should be subsidizing those who can afford to run air conditioners,” said Mr. Ismail. Mr. Sharif’s plan envisages converting three or four of the biggest power plants, which currently burn oil, to coal. Experts estimate such a plan would cost about $2 billion but would pay for itself in savings in about a year. New coal-burning power stations would also be commissioned, which the incoming government says would take around three years to come onstream. Government-owned generation plants and the grid companies would be put under new management and privatized. “We will nibble at this problem from many angles as we go along,” said Sartaj Aziz, an adviser to Mr. Sharif on finance and a former finance minister. Foreign companies rushed into Pakistan’s electricity sector in the 1990s, when new private generation plants were allowed, on lucrative terms. Oil prices were low at the time, so oil-burning plants were built. However, frequent changes in governments and policies that followed, together with the circular debt issue, chased away most of the foreign interest. The last major American investor, AES Corp.,sold out in 2009. GDF Suez of France and Malaysia’s Tenaga Nasional Berhad are the remaining foreign firms active in Pakistan’s energy sector. Naveed Ismail, an independent energy-sector expert who previously worked with the government, said that 48% of Pakistan’s thermal generation came from burning furnace oil, the highest such proportion among any major countries, while contribution from much cheaper coal, the main source of generation in India or China, was close to zero. 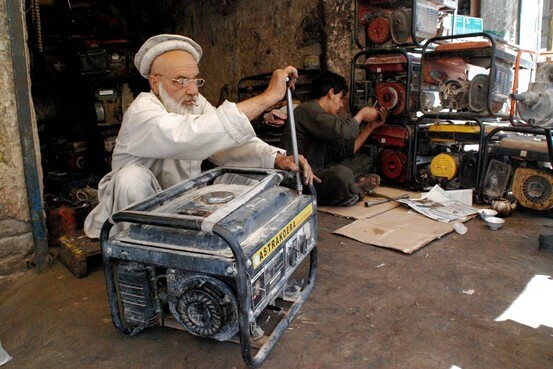 Helping Pakistan with its electricity crisis has been a major focus of American aid in recent years. Since October 2009, the U.S. has spent $225 million on energy projects in Pakistan, according to the U.S. Embassy in Islamabad, adding more than 900 megawatts to the country’s generation, with schemes for upgrading power plants and dams. A wave of joy swept across Pakistan as it overcame a lackluster Malaysia in the final of the 16th Asian Games hockey. The win secured for Pakistan its first gold at the Games in 20 years and in the process an automatic berth at the 2012 Olympics in London. The historic moment was witnessed by a large group of supporters that had thronged the various hockey centers across Pakistan to watch the final on the large screens that had been set up for the day. And the fans weren’t disappointed as their team put up a clinical performance to record a 2-0 win over Malaysia. “It’s really a huge success for us and it’s extremely good news for the entire nation,” said Nawaz Ali as he waved national flag at a busy intersection of the capital Islamabad with scores of other Green Shirts supporters. “It is good to see our team winning. We are happy because this is our national game,” said another man waving hockey sticks in joy. He said the victory would boost players’ morale and help them get more victories in future. 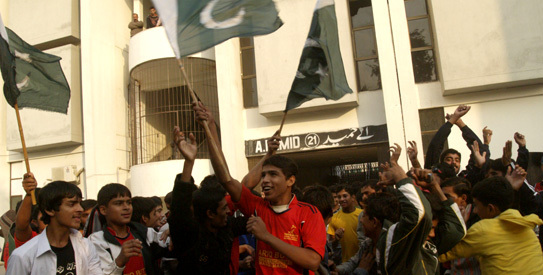 In Peshawar, people came out from their homes after the win and performed traditional dance moves to celebrate the moment. “Hats off to Pakistan hockey players for their memorable win by giving joy and pleasure to 170million people,” a young hockey fan and resident of Qisakhwani, Abdur Rahim said. “The moment when our national anthem was played in China was historic and it would be remembered for a long time. There were similar scenes in Lahore and Karachi where people even crowded the small TV screens at the international airports to catch a glimpse of the final. There were also reports that many people at various workplaces extended their lunch to fit in the game that ended around 15:30 pst. The people in question, however, chose to remain anonymous. Also brimming with delight was the Sports Minister of Pakistan Mir Ejaz Hussain Jakhrani who announced a cash award of Rs 5 million for the gold medal winning hockey team. He also paid glowing tributes to the squash team which also won gold in the team event beating their highly touted Malaysian opponents. Not everyone in the Cairo lecture hall last February was buying the imam Feisal Abdul Rauf’s message. As he talked of reconciliation between America and Middle Eastern Muslims — his voice soft, almost New Agey — some questioners were so suspicious that he felt the need to declare that he was not an American agent. Muslims need to understand and soothe Americans who fear them, the imam said; they should be conciliatory, not judgmental, toward the West and Israel. But one young Egyptian asked: Wasn’t the United States financing the speaking tour that had brought the imam to Cairo because his message conveniently echoed United States interests? That talk, recorded on video six months ago, was part of what now might be called Mr. Abdul Rauf’s prior life, before he became the center of an uproar over his proposal for a Muslim community center two blocks from the World Trade Center. He watched his father, an Egyptian Muslim scholar, pioneer interfaith dialogue in 1960s New York; led a mystical Sufi mosque in Lower Manhattan; and, after the Sept. 11 attacks, became a spokesman for the notion that being American and Muslim is no contradiction — and that a truly American brand of Islam could modernize and moderate the faith worldwide. In recent weeks, Mr. Abdul Rauf has barely been heard from as a national political debate explodes over his dream project, including, somewhere in its planned 15 stories, a mosque. Opponents have called his project an act of insensitivity, even a monument to terrorism. In his absence — he is now on another Middle East speaking tour sponsored by the State Department — a host of allegations have been floated: that he supports terrorism; that his father, who worked at the behest of the Egyptian government, was a militant; that his publicly expressed views mask stealth extremism. Some charges, the available record suggests, are unsupported. Some are simplifications of his ideas. In any case, calling him a jihadist appears even less credible than calling him a United States agent. Mr. Abdul Rauf, 61, grew up in multiple worlds. He was raised in a conservative religious home but arrived in America as a teenager in the turbulent 1960s; his father came to New York and later Washington to run growing Islamic centers. His parents were taken hostage not once, but twice, by American Muslim splinter groups. He attended Columbia University, where, during the Six-Day War in 1967 between Israel and Arab states like Egypt, he talked daily with a Jewish classmate, each seeking to understand the other’s perspective. He consistently denounces violence. Some of his views on the interplay between terrorism and American foreign policy — or his search for commonalities between Islamic law and this country’s Constitution — have proved jarring to some American ears, but still place him as pro-American within the Muslim world. He devotes himself to befriending Christians and Jews — so much, some Muslim Americans say, that he has lost touch with their own concerns. “To stereotype him as an extremist is just nuts,” said the Very Rev. James P. Morton, of the Church of St. John the Divine, in Manhattan, who has known the family for decades. Since 9/11, Mr. Abdul Rauf, like almost any Muslim leader with a public profile, has had to navigate the fraught path between those suspicious of Muslims and eager to brand them as violent or disloyal and a Muslim constituency that believes itself more than ever in need of forceful leaders. Akbar Ahmed, chairman of Islamic studies at American University, said Mr. Abdul Rauf’s holistic Sufi practices could make more orthodox Muslims uncomfortable, and his focus on like-minded interfaith leaders made him underestimate the uproar over his plans. “He hurtles in, to the dead-center eye of the storm simmering around Muslims in America, expecting it to be like at his mosque — we all love each other, we all think happy thoughts,” Mr. Ahmed said. Andrew Sinanoglou, who was married by Mr. Abdul Rauf last fall, said he was surprised that the imam had become a contentious figure. His greatest knack, Mr. Sinanoglou said, was making disparate groups comfortable. At the wedding, he brought together Mr. Sinanoglou’s family, descended from Greek Christians thrown out of Asia Minor by Muslims, and his wife’s conservative Muslim father. “He’s an excellent schmoozer,” Mr. Sinanoglou said of the imam. Mr. Abdul Rauf was born in Kuwait. His father, Muhammad Abdul Rauf, graduated from Cairo’s Al-Azhar University, the foremost center of mainstream Sunni Muslim learning. He was one of many scholars Egypt sent abroad to staff universities and mosques, a government-approved effort unlikely to have tolerated a militant. He moved his family to England, studying at Cambridge and the University of London; then to Malaysia, where he eventually became the first rector of the International Islamic University of Malaysia. As a boy, Feisal absorbed his father’s talks with religious scholars from around the world, learning to respect theological debate, said his wife, Daisy Khan. He is also steeped in Malaysian culture, whose ethnic diversity has influenced an Islam different than that of his parents’ homeland. In 1965, he came to New York. His father ran the Islamic Center of New York; the family lived over its small mosque in a brownstone on West 72nd Street, which served mainly Arabs and African-American converts. Like his son, the older imam announced plans for a community center for a growing Muslim population — the mosque eventually built on East 96th Street. It was financed by Muslim countries and controlled by Muslim diplomats at the United Nations — at the time a fairly noncontroversial proposition. Like his son, he joined interfaith groups, invited by Mr. Morton of St. John the Divine. Unlike his son, he was conservative in gender relations; he asked his wife, Buthayna, to not drive. But in 1977, he was heading the Islamic Center in Washington when he and Buthayna were taken hostage by a Muslim faction; it was his wife who challenged the gunmen on their lack of knowledge of Islam. “My husband didn’t open his mouth, but I really gave it to them,” she told The New York Times then. Meanwhile, the younger Mr. Abdul Rauf studied physics at Columbia. At first, he recalled in interviews last year, it was hard to adjust to American social mores. By 1967, he and a Yale student, Kurt Tolksdorf, had bonded at summer school over their shared taste in women and fast cars. But Mr. Tolksdorf said his friend never subscribed to the “free love” of the era. When the 1967 war broke out in the Middle East, Mr. Tolksdorf said, Mr. Abdul Rauf reacted calmly when Israeli students tried to pick a fight. A classmate, Alan M. Silberstein, remembers debating each day’s news over lunch. In his 20s, Mr. Abdul Rauf dabbled in teaching and real estate, married an American-born woman and had three children. Studying Islam and searching for his place in it, he was asked to lead a Sufi mosque, Masjid al-Farah. It was one of few with a female prayer leader, where women and men sat together at some rituals and some women do not cover their hair. And it was 12 blocks from the World Trade Center. Divorced, he met his second wife, Ms. Khan, when she came to the mosque looking for a gentler Islam than the politicized version she rejected after Iran’s revolution. Theirs is an equal partnership, whether Mr. Abdul Rauf is shopping and cooking a hearty soup, she said, or running organizations that promote an American-influenced Islam. In the 1990s, the couple became fixtures of the interfaith scene, even taking a cruise to Spain and Morocco with prominent rabbis and pastors. Mr. Abdul Rauf also founded the Shariah Index Project — an effort to formally rate which governments best follow Islamic law. Critics see in it support for Taliban-style Shariah or imposing Islamic law in America. Shariah, though, like Halakha, or Jewish law, has a spectrum of interpretations. The ratings, Ms. Kahn said, measure how well states uphold Shariah’s core principles like rights to life, dignity and education, not Taliban strong points. The imam has written that some Western states unwittingly apply Shariah better than self-styled Islamic states that kill wantonly, stone women and deny education — to him, violations of Shariah. 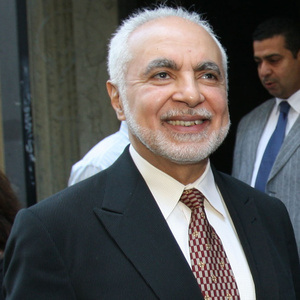 After 9/11, Mr. Abdul Rauf was all over the airwaves denouncing terrorism, urging Muslims to confront its presence among them, and saying that killing civilians violated Islam. He wrote a book, “What’s Right With Islam Is What’s Right With America,” asserting the congruence of American democracy and Islam. That ample public record — interviews, writings, sermons — is now being examined by opponents of the downtown center. The world Zionist movement should not be neglectful of the dangers of Pakistan to it. And Pakistan now should be its first target, for this ideological State is a threat to our existence. And Pakistan, the whole of it, hates the Jews and loves the Arabs. This lover of the Arabs is more dangerous to us than the Arabs themselves. For that matter, it is most essential for the world Zionism that it should now take immediate steps against Pakistan.” Ben-Gurion, the Prime Minister of Israel. This speech was first published in Jewish Chronicles on 9th August 1967. This statement risen many controversies bloggers like me have quoted it many times; various explanations were also given to disprove this statement, but still we read it on every article related to Pakistan and Israel. Pakistan and Israel do share some history and ideology. These are only two countries in the world created in the name of Religion; Pakistan for Islam, Israel for Judaism and both countries have taken independence from same British Empire after World War II. Then why my passport still says, “This Passport is valid for all the countries of the World, except Israel”? Pakistan claimed its independence from foreign invaders after two centuries of struggle. In 1757 after Battle of Plessey, East India Company started ruling Indian Sub-continent. The first armed resistance was Battle of Independence in 1857 after which the power was transferred to British government. In 1885 the political movement of independence started as Indian National Congress. Some of the Muslim leaders soon separated and launched new movement in 1906 as All India Muslim League for separate Muslim state which led to the creation of independent Islamic state Pakistan on 14th August 1947, which then became Islamic Republic of Pakistan in 1973. For Israel the timings was same and the rulers were also same as of Indian sub-continents, but events and circumstances were totally different. Israel declared its independence on 14th May 1948 from British Mandate of Palestine. But Israel independence movement was not against British Occupation; rather it was a movement of creating a Jewish State by silently invading the markets, trades and areas to make Jewish settlements. Hovevei Zion or Hibbat Zion refers to organizations that are considered the foundations of the modern Zionist movement. These movements led to creation of Rishon LeZion in 1882 which is the first Jewish settlement in Palestine; which was at that time under Ottoman Empire. First Zionist Congress held in 1897 started the unified Zionist Movement which was converted to World Zionist Organization in 1960. This movement was successful in legalizing its demand of separate Jewish state in Palestine after Balfour Declaration 1917, in which British Mandate of Palestine’s (1917 – 1948) foreign Secretary Arthur James Balfour wrote letter to the leader of British Jewish Community Baron Rothschild, pledging British Empire support of creation of Jewish State in Palestinian Land. So what kind of relationship does Pakistan and Israel has over period of 60 years? 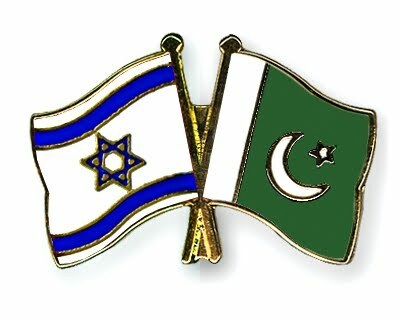 While writing this blog I also tried to ask couple Pakistanis; their view points about Pakistan-Israel Relationship. Yousaf is Pakistani Engineer living and working in Saudi Arabia. Being in the region, Pakistanis here are emotionally and regionally attached to Middle East crisis. I asked him what kind of relationship both countries have. “Relationship between Pakistan and Israel are tied to the fact that how Israel government treats the Palestinians. In general, as Jerusalem is considered as one of the holiest places in Islam; this fact serves as a thorn in the eyes of Pakistanis.” Yousaf said. Pakistan is among those 20 UN member nations which do not recognize Israel as an independent state. These 20 countries also include Afghanistan, Algeria, Bahrain, Bangladesh, Chad, Cuba, Indonesia, Iran, Iraq, Kuwait, Lebanon, Libya, Malaysia, North Korea, Saudi Arabia, Sudan, Syria, United Arab Emirates and Yemen. Unofficial media reports say that first Prime Minister of Israel David Ben-Gurion send secret message to Muhammad Ali Jinnah to formally accept its existence, but no response was given back to him. At the time of independence of Pakistan, it was reported that some 2,000 Jews remained in Pakistan, mostly Bene Yisrale Jews. Many left to Israel after its declaration of independence. Jews from Karachi, Pakistan, now live in Ramla, Israel, and they also built a synagogue they named Magen Shalome after the Pakistani Synagogue which was demolished in 1980. 60s, 70s and beginning of 80s were the decades when for the first time both countries came face to face when Arab-Israel war started. In “Six-day Arab Israeli War” of 1967; Royal Jordanian Air Force (RJAF) and Pakistan Air Force (PAF) were flying under a joint command. PAF pilot Flt. Lt. Saiful Azam became the only pilot from the Arab side to have shot down 3 IDF/AF aircraft within 72 hours. In 1973 Arab-Israeli Yom Kippur War, 16 PAF pilots volunteered to support Syria and Egypt. On 23 October 1973 Flt. Lt. M. Hatif shot down the Israeli Phantom. On 26 April 1974, PAF pilot Flt. Lt. A. Sattar Alvi became the first Pakistani pilot, during the Yom Kippur War; to shoot down an Israeli Mirage in air combat. He was honoured by the Syrian government. Nur Khan, who was the Wing Commander received praised from Israeli President Ezer Weizman who wrote in his autobiography that: “He was a formidable fellow and I was glad that he was Pakistani and not Egyptian”. Pakistan also sent medical ambulances to Egypt and Syria. After the Israeli attack on Iraq’s under-construction French-built nuclear Osirak-type reactor, Tammuz-I, south of Baghdad on 7 June 1981, Pakistan’s then President President Zia-ul-Haq directed PAF Air Headquarters (AHQ) to make contingency plans for a possible Israeli attack on Kahuta. Kahuta is noted for its nuclear research studies and nuclear development technologies in Kahuta Research Laboratories. On 10 July 1982, a special contingency plan was issued. In the event of an Israeli attack on Pakistan’s strategic installations, plans were drawn up for a retaliatory Pakistani strike on Negev Nuclear Research Centre. The Negev Nuclear Research Centre is an Israeli nuclear installation located in the Negev desert, about thirteen kilometres to the south-east of the city of Dimona. In of his speeches in National Assembly of Pakistan, before Zulfiqar Ali Bhutto was hanged in 1979, he said, “Mr. Speaker Sir! This is not Desi (local) conspiracy, it’s an international conspiracy. Let me make it quite clear for the history, whatever the future and fate of this individual will be; that doesn’t matter, but let me tell you again this is not a desi (local) conspiracy, this is not PNA conspiracy, this is massive, huge and colossal international conspiracy against the Islamic State of Pakistan.” (PNA was Pakistan National Alliance against the ruling Pakistan Peoples Party). Nowadays people like to refer this international controversy as Zionist or Israeli Conspiracy. A controversial book was published in 2003, named Charlie’s Wilson war which conspire about use of Israeli weapons supplied to General Zia ul Haq to fight Soviets in Afghanistan (1979 – 1989). Famous Hollywood movie Charlie’s Wilson War was also released in 2007. After that the back door politics started between Pakistan and Israel. The President of Pakistan General Zia ul Haq was assassinated in plane crash on 17 August 1988. Among the conspiracy theories; Mossad (Israeli Intelligence Agency) involvement is also believed to exist. In the fall 2005 World Policy Journal, John Gunther Dean, a former US ambassador to India, blamed the Mossad for orchestrating Zia’s assassination in retaliation for Pakistan developing a nuclear weapon to counteract India and Israel. It is believed that, at the time of Benazir Bhutto’s Government both countries had very strong relationship especially in countering terrorism. In 1993 Benazir Bhutto, along with her then-Director-General of Military Operations, Pervez Musharraf, intensified the ISI’s liaison with Mossad in 1993, and she too began to cultivate the American Jewish lobby. Bhutto is said to have had a secret meeting in New York with a senior Israeli diplomat, who flew to the U.S. during her visit to Washington, D.C. in 1995. In 1996, Pakistan’s Intelligence Agency, FIA, started a secret war against Extremist in Pakistan under Rehman Malik. According to sources, FIA also contacted Israeli intelligence agency Mossad to help and send its officers to investigate the extremism. Even after these strong ties, controversies never left the scenario. Benazir Bhutto was assassinated on 27 December 2007 in one political rally. This was considered to be typical Mossad Assassination style. It is believed that she was the one knowing the reality of 9/11 being inside job and death of Osama Bin Laden, which she also publicly stated in David Frost TV program. That program was edited before telecasting. But Jewish Journals and Media still believed in the opposite way. According to Jewish media, Miss Bhutto asked for Mossad help to protect her on her return to Pakistan as she was afraid she will be killed. In 1998 Pakistan and Israel were again on the verge of war. On 27 May 1998, day before Pakistan conducted its nuclear test in Chaghi, Southern Province of Baluchistan, Pakistan; unidentified F-16 was found hovering around skies on border areas of Pakistan. Pakistan Air Force; taking is as repetition of Israeli Conspiracy similar to 1981, Air Bourne its fighters to foil any attack. But Pakistan and Israeli UN delegation met in UN soon after Pakistan Nuclear tests in 1998 to give assurance that Pakistan will not transfer its technologies to Iran, the arch enemy of Israel. Musharraf’s nine years of rule was also golden times for both countries. In 2003, General Pervaiz Musharraf said on television interview, “Mainly Muslim Pakistan must seriously take up the issue of recognizing Israel and avoid dealing with it on emotional grounds”. This statement gave birth to local opposition, esp. among Religious Parties in Pakistan. “Jerusalem is not just an Arab issue, it is linked to the faith of every Muslim” said Qazi Hussain Ahmed, chief of Jamaat-i-Islami Pakistan, the largest and oldest religious political party. “Presenting Palestine as a sole Arab issue is a heinous conspiracy of the imperialists and colonists aimed at disintegrating the Muslims and shattering the concept of Muslim unity. It is for the same reason the colonist forces are trying to portray every Muslim issue as regional or bilateral” said Qazi. In 2005 Pakistani Foreign Minister Khurshid Kasuri and his Israeli counterpart Silvan Shalom met in Istanbul after Israel withdrew its forces from Gaza, Palestine hoping to start peace talks. However, following the meeting Musharraf said, “Pakistan will not recognize the state of Israel until an independent Palestinian state is established”. An unofficial Pakistan-Israel Peace Forum was created the next day of the meeting. It was created by 3 friends Waleed Ziad (Pakistan), Dror Topf (Israel), and Michael Berenhaus (US), all currently based in Washington, DC. This forum was an unsuccessful attempt to lobby in UN, US, Israel and Pakistani political establishments, hoping that Pakistani might accept Israel as independent legal state. Pakistan and Israel are also secretly involved in Weapons and Arms Development Race. Close ties between India and Israel, and arms business between them forces Pakistan to keep an eye on Israel’s weapons industry. Like for example; Pakistan Ordinance Factory (POF) developed POF Eye Gun and exhibited in 2008 to counter the Israeli made Cornershot Rifle which is also known as Jews Gun in Arab World.